As a fan of the Pikmin series, I’ve always wondered what a portable version would be like. Hey! Pikmin is not what I had in mind. 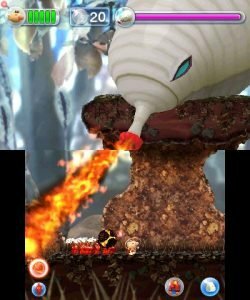 While the game isn’t inherently bad, it’s clear that Pikmin’s portable debut is not what Nintendo is focusing on. Hey! Pikmin also happens to be developed by Arzest, the same team behind Yoshi’s New Island, which also had its fair share of flaws. The plot of Hey! Pikmin isn’t all that different from earlier titles in the series. Captain Olimar is on his way home after a hard day’s work when something goes wrong with his ship that causes him to crash land on a mysteries planet. After learning that his ship is low on fuel, Captain Olimar must work together with the planet’s Pikmin inhabitants in order to traverse the land and obtain more. The game’s story is quick and to the point and wastes no time introducing Olimar to his Pikmin helpers within the first minute of gameplay. Beyond its intro however, there isn’t really any story to Hey! Pikmin. Hey! Pikmin is also not the prettiest game. While the title plays as a 2D sidescroller, it still uses 3D models for all its characters—which don’t transfer over that well to the 3DS hardware. On a normal size 3DS, screen size can be a bit of an issue. 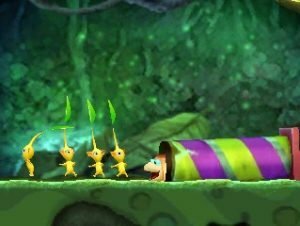 Between Olimar and his group of Pikmin, there’s only room for about one enemy onscreen at a time. Surprisingly, the game runs into some framerate drops when there’s a little too much going on, struggling to maintain its 30fps even on the new 3DS models. There’s no voice acting for Hey! Pikmin but the game’s music fits well, sounding similar to what’s featured in the earlier Pikmin titles. Anyone hoping to play with the autostereoscopic 3D effect will be disappointed as Hey! Pikmin doesn’t use the feature at all. The gameplay of Hey! Pikmin is a mix between a traditional platformer and an earlier Pikmin entry. This mix doesn’t really blend together all that well though, resulting in a final product that feels like the skeleton of a platformer with Pikmin forced into it. As a 2D platformer, Hey! 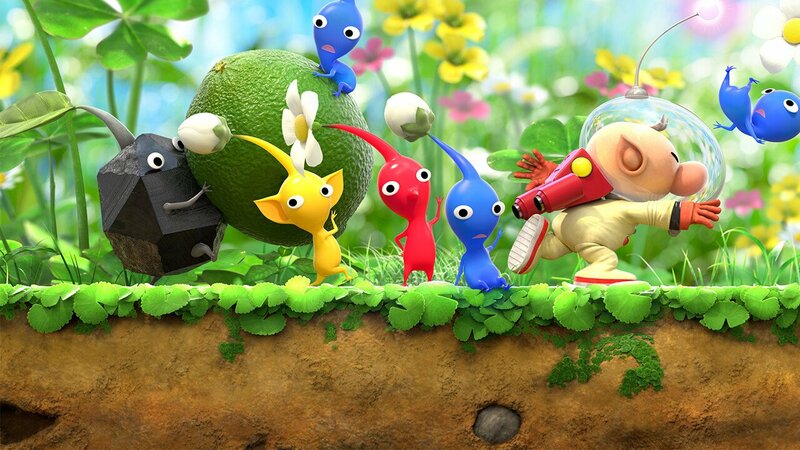 Pikmin manages to lose a lot of the charm that the series has earned over the years. Without a 3D world to explore, levels feel bland and forgettable. Taking on enemies becomes repetitive since they can only be approached from one direction. The element of time and resource management that the series is known for is taken out and replaced with mindless modes such as the “Pikmin Park,” which has you taking the Pikmin with which you finished the stage and put them to work by sending them to different zones. There’s no challenge or thought put into it; just tap the zone and the Pikmin go there. The in-game controls are the one aspect I can say Hey! Pikmin handles properly. You control Olimar with the circle pad or D-pad and perform actions with the touch screen. These controls are actually perfect for the way this game works. Despite the way it appears, Hey! Pikmin isn’t much of a platformer. Olimar is slow and aside from a jetpack that allows him to hover in the air for a few moments, he can’t jump. Most of your focus will be on the touch screen, aiming and tossing your Pikmin around while only occasionally moving Olimar. My biggest problem with Hey! Pikmin isn’t just that it’s a generic platformer. My biggest problem is that I’ve seen this exact game done before, only better. In 2011, Nintendo released a game called Kirby Mass Attack for the Nintendo DS. The gameplay was similar, using a small army of Kirbys instead of Pikmin and only featuring touch controls. This game felt about as close to a Pikmin game as Hey! Pikmin does except it managed to utilize the hardware better. More importantly, that game fit right at home with other Kirby titles through its presentation, whereas Hey! Pikmin does not. Hey! Pikmin has very few major flaws. At the same time, it does nothing exceptionally well aside from its controls. I believe that Pikmin games have always been developed with all ages in mind, but this one felt like it was aimed at kids with its simple level design. If I’d never heard of or played a Pikmin game in the past, it might’ve been easier to just write this off as a boring platformer and call it a day. Knowing the franchise however, it’s hard to play this game and not think about all of the ways it could’ve been done better. Hey! 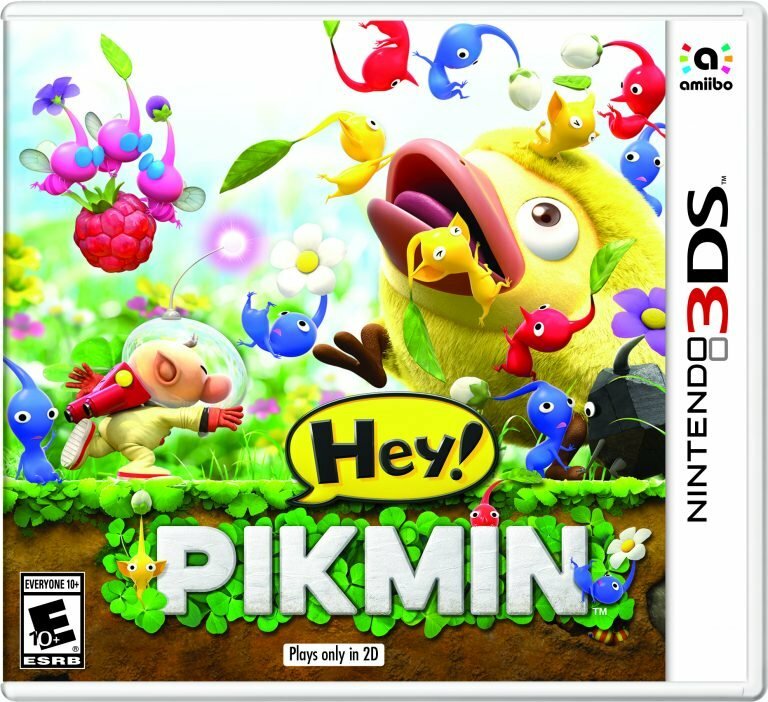 Pikmin forces the series into something it’s not, resulting in a barebones platformer with Pikmin on the cover.